Will You Listen to the Critics, or Press Onward Towards the Prize? This past Saturday I was fortunate to be the opening keynote speaker at the ASCEND Summit hosted by Nelson Griswold and Scott Cantrell in Nashville, Tennessee. My session on leadership was based on my latest book, Mind Capture: How to Awaken Your Entrepreneurial Genius in a Time of Great Economic Change. How do you stand out and gain Mind Capture in a crowded industry? What are the 7 characteristics ALL leaders or what I call Trailblazers have in common? 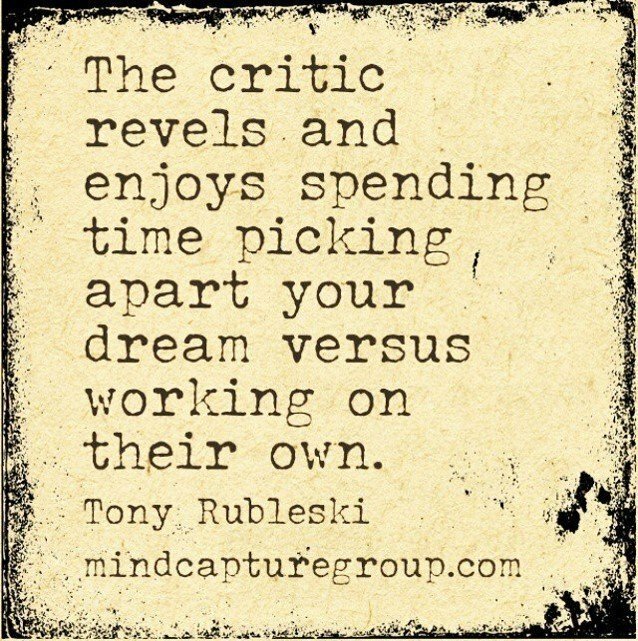 How do you deal with critics and stay focused on achieving your goals? We all face the pressures of competition. However, it’s the mindset of how we approach it that matters most. One of the slides I showed, which you see above, is pointed directly at critics. It often draws a good reaction as most people can easily relate to it and the point I’m trying to make. I share this point regarding criticism with you as a reminder to be careful not to let others pick you apart or attempt to bring you down. It saddens me when I see or talk to people who’ve given up on their goals and dreams because of another person’s opinion. Far too many times it’s someone closest to them who is misguided or jealous that they allow to take away their personal power via a few misguided words spoken directly to them or posted online. It happens millions of times a day. So, I encourage you to step up. Focus on what you enjoy and want to achieve. Yes, critics will appear. The question for you to consider is this: will you quit at the first sign of criticism, or choose to ignore it and press onward?